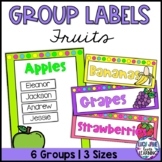 These bright and colorful group labels are the perfect way to manage your students! 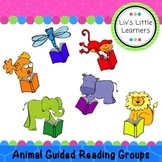 I use mine for my different reading groups. 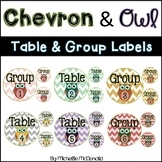 I use these labels for table points on my whiteboard, on Table Baskets, to label my Data Binder Baskets, etc SOoOo many uses!! If you have any questions, please feel free to email me at carolynscreativeclassroom@gmail.com Thank you! Looking for the perfect addition to your HP classroom? Download these group labels to bring the magic of Hogwarts into your space! Easy to cut, print, and hang within minutes. These can be hung from the ceiling over each table and it has adjectives describing each house. 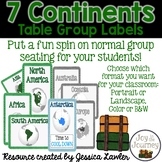 Organize your classroom with these Star Wars themed group labels. 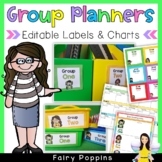 Includes labels for 8 groups. Please let me know if you would like them personalized or if you would like a different theme, color, or character! These labels have a black background with a brightly colored number on them. They are numbered Group 1-10. 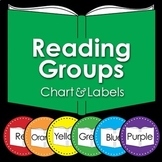 I use these to keep my Daily 5 group books separated and organized so they are easily assessable when I am teaching groups. 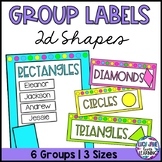 Use these Ocean Animal Cards to label your tables, table caddies, center groups, etc. 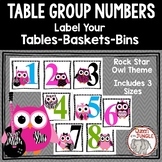 Small enough to print and fit on a center bin or table caddy.